Visual Media Alliance hosts annually the Showcase of Print/Design Excellence competition which is offering the most coveted honors in the printing industry. Competing against nearly 225 entries from Northern California and Northern Nevada, Cellotape Inc. received a silver and a bronze award in the 2011 VMA (Visual Media Alliance) contest. 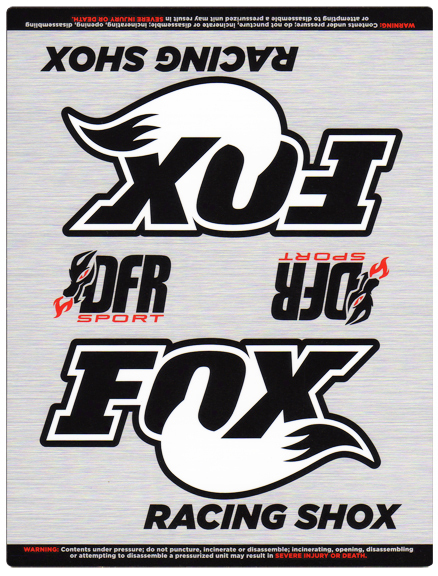 The award winning printed pieces were produced for Dakota Digital (dashboard cluster overlays - silver award) and Fox Racing Shox ("Future Shock Brain" decal - bronze); congratulations to our customers and to our team members! To see our award winning pictures, please visit our Facebook profile. For the last 35 years Design-2-Part shows hosted by The Job Shop Company have been bringing together the finest American engineers, OEMs and contract manufacturers. This year’s edition will take place in Santa Clara, California on 18th and 19th of May. As you expected, Cellotape is going to be an exhibitor at this trade event as Cellotape is not only a label supplier, but a manufacturer of gaskets, seals, die cut parts, EMI/RFI shielding and molded parts. Many companies can provide a die cut part, but Cellotape has mastered the art of precision. Our components can be printed and cut to the most precise specifications. Better yet, Cellotape’s employees are well-equipped to recommend the right solution to your custom needs. When every part matters, trust your components to the experts at Cellotape! To find out more about our die cut capabilities, stop by our booth #319 at the Design-2-Part show! To start with, two years ago we acquired the Mark Andy Model - XP5000 which has one of the most advanced print platforms in the industry. With 11 flexo-press print stations, 4 die stations, re-insertion capability and computer interfaces at every print & die station, our XP5000 delivers the speed, high productivity and exceptional color consistency that your labels need. Controlled by servo motors, the XP5000 can print up to 11 colors at one time as many times as desired without losing the registration and that’s one clear advantage this system has over the others in its line. The XP5000 faster set up and job changeover allows us to print larger lot sizes without altering the quality of the labels as it utilizes electronic register control with exclusive servo programming. Mark Andy’s Quick Change Cassette System offers rotary screen, two hot foil print stations and cold foil capability in addition to Flexo and UV Flexo printing. Embossing is of course, something that this top notch press can do and it does it much better than other presses. The multi process capability makes the XP5000 more flexible and more efficient than other narrow web presses. Another feature of this printer that makes our work much easier and helps us deliver our labels faster is the turn-bar capability - for the non-tech-savvy people this means that we can front print our labels and back print them in the same time. One of the responsibilities our project engineer carries is to monitor the daily press runs of the XP5000 to improve its performance and exploit its fullest potential. The latest trick that our engineerdid was to design two cylinders that allow us to insert a second substrate into the printing process. In this way we can print on two substrates/materials at one time. Like this printer was not advanced enough, we recently upgraded our Mark Andy XP5000 equipment with a DOD (Drop on Demand) printer with two print heads. “What can this DOD do?” you’re probably wondering now…two words – variable data. With our DOD 256 Variable System printer we can print two across any type of barcode labels – QR codes, RFID, Microsoft tags; NFC (Near Field Communication) labels and/or images using different colors (i.e coupons are multi-colored) at anywhere from 0 to 500fpm. As the system it is integrated in, the DOD delivers top notch quality labels. Each print head contains a series of complex features – all designed to deliver ink with controlled, precise results and with no fluid sweeping or air ingestion at the print nozzles. With this new acquisition, the high-quality print on various substrates with UV- variable inkjet does not constitute a challenge anymore. To better showcase the capability of this printing system we will tell you about one of our projects which would’ve been very difficult to be completed on the other presses we have in our shop. Annie Chun’s, one of our most valued customers and the leading producer of all-natural, gourmet Pan-Asian food in the United States came to us with a peel-off label printing request. In order to deliver the job, we used the de-lam/re-lam features of our XP5000. After we inserted the material in the printing system, we removed the liner (de-lam) and we printed the copy - an Asian dish recipe - on the adhesive. Choosing the right adhesive was not an easy task to do either – the adhesive shouldn’t have been too strong nor too weak in order to deliver a viable solution of the peel-off label. After the copy printing was done, we reapplied the liner to the substrate (re-lam) and then sent it further to the next print station where the labels went into the turn-bar in order for the face printing to be performed. Needless to say, we delivered these labels successfully, task that contributed to the sales’ growth of Annie Chun’s products. Besides the applications mentioned above, we can print using this state-of-the art equipment - scratchers, lottery tickets, coupons and an application we are looking forward to - serialized parking tickets. For the green conscious people out there, we would like to bring to your attention that we can use the same water based inks we use on our other presses for all the print stations of the XP5000 system. “Green” substrates are also available at your disposal. Stay tuned because we won’t stop here! MD&M WEST has been for over 26 years, the most trusted resource for what's next in medical design and manufacturing. Your MD&M WEST admission gives you unlimited access to hundreds of equipment and systems suppliers, innovation briefs in-depth presentations, live demonstrations and many more! See you at our booth, #834! Cellotape named to Printing Impressions 400! For the last 27 years, Printing Impressions 400 has been providing the printing industry with the most comprehensive ranking of the leading companies in the United States and Canada. The printing industry’s top 400 was compiled based on the annual printing sales figures submitted by companies headquartered nationwide in USA and Canada. Revenues for Canadian companies were converted to U.S. dollar equivalents, where applicable. 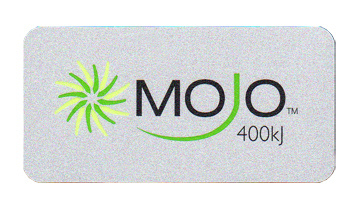 Cellotape ranked on the 2010 Printing Impressions Top 400 list based on the 2009 sales reports’ submittal. Receiving the recognition of being one of the top printing companies in US and Canada from the most influential resource in the printing industry is a delightful surprise, especially because the recognition was earned in a competition where companies like RR Donnelly, Valassis submitted their annual revenue as well. For more information about the Printing Impressions and their ranking criteria, please click here. Cellotape Inc. does it again! Every year, the SEMA show, the premier automotive aftermarket trade event in the world, draws the industry's brightest minds and highest class products to one place, Las Vegas. SEMA drew more than 50,000 domestic and international buyers last year. All the industry leaders present at the SEMA Show are looking for profit opportunities and implicitly, for the recognition of their products' superiority. To celebrate their upcoming 25th anniversary, one of our most valued customers, Dakota Digital released a new lineup of hybrid analog/digital instrumentation systems, perfectly complementing the digital products they've become known for. 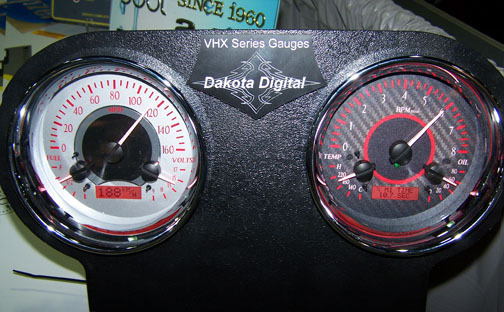 The first release of this new VHX Series was presented in the New Products section of the SEMA Show. Competing against more than 1600 entries, Dakota Digital won the first place in the "Street Rod/Custom Product" category. "Winning a SEMA New Product award is a lifetime achievement; the recognition from our peers is indescribable. Releasing a new product line with this type of momentum is nothing short of amazing" says Ross Ortman, Dakota Digital President/CEO. Cellotape, as Dakota Digital's custom graphic supplier couldn't be more thrilled at the hearing of this outstanding achievement. Cellotape's contribution to this award consisted of the backlit instrument cluster overlays. The manufacturing of these award winning overlays was not an easy task to do. 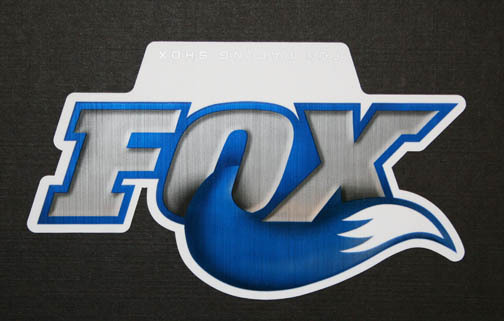 For starters, the overlay panels were both front surface and subsurface printed. For the printing process two platforms were used - the background image was printed on a digital flatbed and the spot colors together with the dead front colors were printed on the screen press. The bright silver metallic look was created on the screen platform as well. The last operation the overlays went through was laser cutting. We, the Cellotape team know that we couldn't have done such a great job without our Screen Print Manager, Jacob Hernandez, to whom we would like to thank. While Jacob was the person who orchestrated all the efforts on the shop floor, in the front office the hard work was done by the Customer Service and the Art department. This outstanding achievement wouldn't have been possible without a permanent collaboration between the Customer Service department, Art department, Production department and the customer savvy team. We would also like to take this opportunity to thank our customer, Dakota Digital, who gave us good resources to utilize our capabilities and deliver these winning award overlays. Aapex Show - The Biggest Exhibition in the Automotive Aftermarket. BioMed Device Show - The 4th Annual Trade Show and Conference for Northern California's Medical Device and Biopharma Development, Design and Manufacturing Marketplace. MD&M West Show - West's Largest Medical Design and Manufacturing Trade Show. West Pack - The Packaging Trade Show for the Western United States. See you at our booth! May 2010 - Cellotape Receives five awards in Northern California/Northern Nevada Print/Design Competition. Cellotape received five awards for outstanding achievements in the annual 2010 Showcase of Print/Design Excellence Awards. The Showcase of Print/Design Excellence is a print design competition covering Northern California and Northern Nevada, hosted by the Visual Media Alliance in San Francisco. Gold – Screen Printed Label – Alpha Research & Technology, Inc. - Art, Inc. The Showcase of Print/Design Excellence recognizes those responsible for the creation and production of print and visual communications in Northern California and Northern Nevada. The competition promotes excellence in print and visual communications and rewards companies and individuals who produce the best in visual media. With great enthusiasm, Cellotape accepts a Silver award from the Printing Industries of Northern California (PINC). The Showcase of Print Excellence is a printing competition covering Northern California and Northern Nevada, hosted by the Printing Industries of Northern California (PINC) and the Northern Zone- West Region of the International Association of Printing House Craftsman. 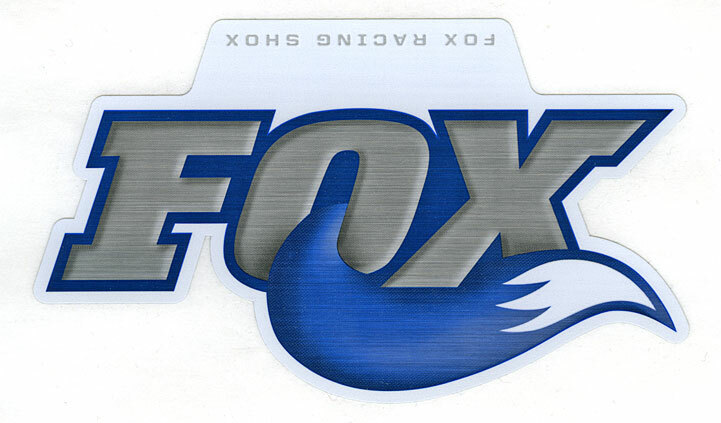 Competing against many other printing and graphics arts firms, Cellotape secured a Silver medal for the Fox Racing Shox decal. Click here to see the winning label. The Promotional Marketing Association of Northern California (PMANC) is a not for profit organization. Attracting Distributors from throughout Northern California, the 2009 PMANC Promo Stock Showcase Spring of Love will be the grooviest showcase ever. Car Care World Expo, the world’s largest expo of it’s kind, delivers the entire car washing world under one roof. Join Cellotape booth # 1562 for this three day event. To obtain your complimentary admission pass, please contact your sales rep., or email your request to sales@cellotape.com Please be sure to stop by our booth #5354. We look forward to seeing your there. Cellotape invites you to visit us at the BIOMEDevice Conference September 10-11, 2008 at the San Jose McEnery Convention Center located in San Jose, CA. BIOMEDevice showcases the latest advances in medical grade materials, assembly and electronic components, computer-aided design and manufacturing, automation/robotics, packaging materials and machinery, medical device software and validation solutions, enterprise-wide IT, sterilization systems, and a full range of contract service providers. To obtain your complimentary admission pass, please contact your sales rep., or email your request to sales@cellotape.com Be sure to stop by our booth #720. We look forward to seeing your there. Don't Miss Out - Tune in to NBC and cheer on Team USA in the Mountain Biking Competition Finals. Finals to be held Friday, August 22nd & Saturday, August 23rd. Check your local TV listings. Cellotape Inc. Received awards for outstanding achievments in Flexography and Digital Printing at the 2008 Showcase of Print Excellence Awards.